Try mixing your own homemade sauce recipes to cut back on grocery shopping and save yourself and your family from added preservatives. Also see our page on how to make a white sauce or a roux, which method is used in many recipes here. The online cooking lesson on how to make sauces will help you as well. In saucepan, add butter, Worcestershire sauce, pepper, hot pepper, lemon juice, garlic, mustard and salt. Heat until boiling. Heat oil in pan and sauté onion and garlic. Stir in herbs and cayenne. Add beef and cook until browned. Stir in tomatoes, ketchup, tomato paste, Worcestershire sauce, oregano and pepper. Pour in stock and bring to boil. Cover and lower heat simmer for at least 30 minutes or place in crock pot and cook 6-8 hours on low. 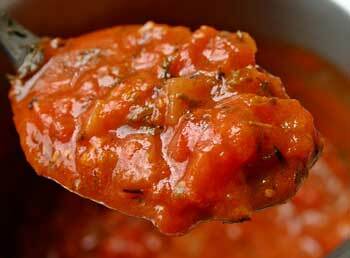 Try this recipe for homemade tomato sauce. In medium bowl or jar with a lid, add ingredients and blend together. 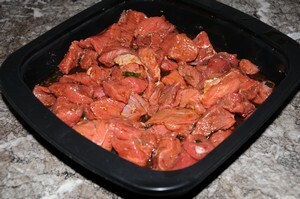 Fill small freezer containers and freeze. This recipe should make about 2 1/2- 3 cups of sauce, you can freeze in 1 cup increments and double if this is something you use often. To make sauce, melt 2 Tablespoons butter in pan. Add 2 Tablespoons flour, cook, stirring constantly, 1 minute. Whisk in 3 cups milk, 1 teaspoon salt, 1/2 teaspoon ground pepper and a pinch of nutmeg. (garlic if desired) Bring to a boil. Reduce and simmer several minutes. Stir in 3/4 Cup Parmesan cheese. See more recipe variations of Alfredo sauce. In quart measuring cup blend ingredients together. Learn how to make a white sauce with photos. 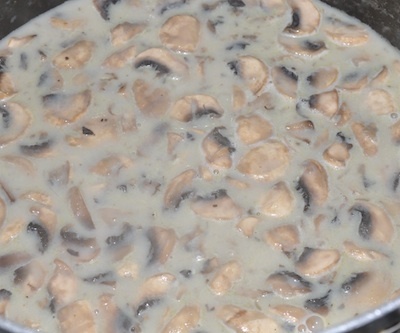 In soup pan, melt butter and saute mushrooms, onion and garlic for several minutes. Whisk in 2 Tablespoons flour. Blend together. Then add in, 2 Cups chicken broth. Allow to cook several minutes. Add 1 Cup milk and whisk together. Season with a dash of pepper. Heat several minutes and use in any recipe that calls for cream of mushroom soup or enjoy as is. Most ketchup is made with a base of tomato paste. Thin a can of tomato paste with a little water and apple cider vinegar, mix in some sprinkles of dry mustard, cumin, cinnamon, and salt until you get the consistency and taste you like. Keep this in the refrigerator for the next time you get the urge for ketchup. Of course, you can add as much salt and sugar as you like; the object is that YOU get to decide how much. You are also eliminating the preservatives and high fructose corn syrup. 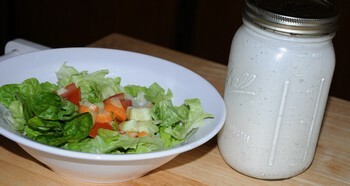 In a salad dressing shaker cup or jar add all ingredients. Put on lid and shake. Chill until ready to use. Add soy sauce, onions, lime juice, brown sugar, hot sauce and garlic clove in a ziploc bag. Combine well. Add steak and marinade at least 2 hours. 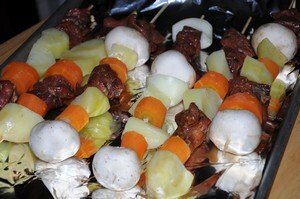 Grill or bake in oven until done. Put all the ingredients in a glass bowl and whisk together to combine. Mixture should be nice and smooth. Chill for at least 1 hours before serving. 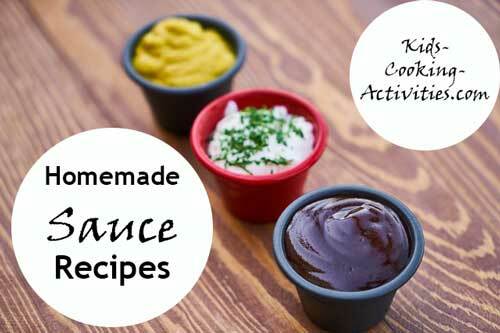 Find more sauces and easy dip recipes. Create homemade mixes like bisquick, pancake, brownie mix, etc. Do you have homemade sauce recipes to share?